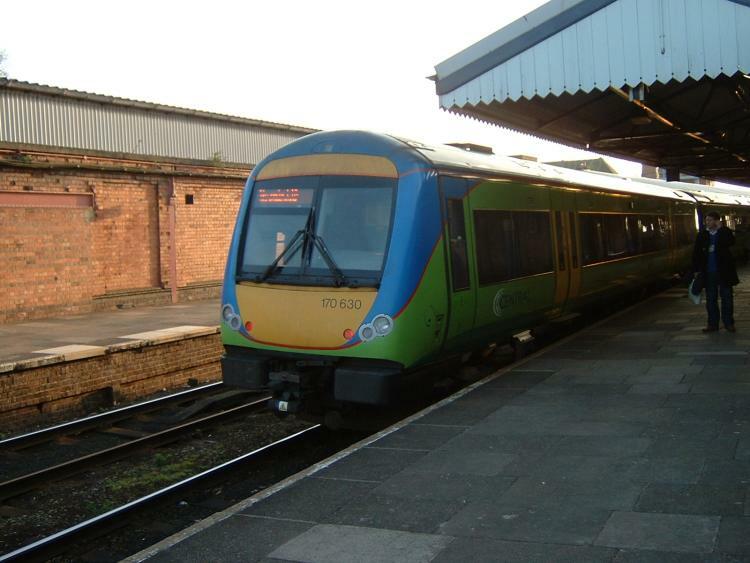 A Central Trains liveried Class 170 diesel multiple unit No.170630 waits at Worcester Foregate Street before departing with an afternoon working to Birmingham New Street. A glum looking Worcester City Football Club supporter is waiting to board the train after watching his team lose to Tiverton Town by two goals to nil. On the far platform is a horizontal iron girder in the wall. This once carried a bridge over the line on which was situated a signal box. This was demolished in the 1960s. Central Trains class 158 dmu No.158788 is signalled away from the Station on an afternoon working from Birmingham New Street to Hereford. 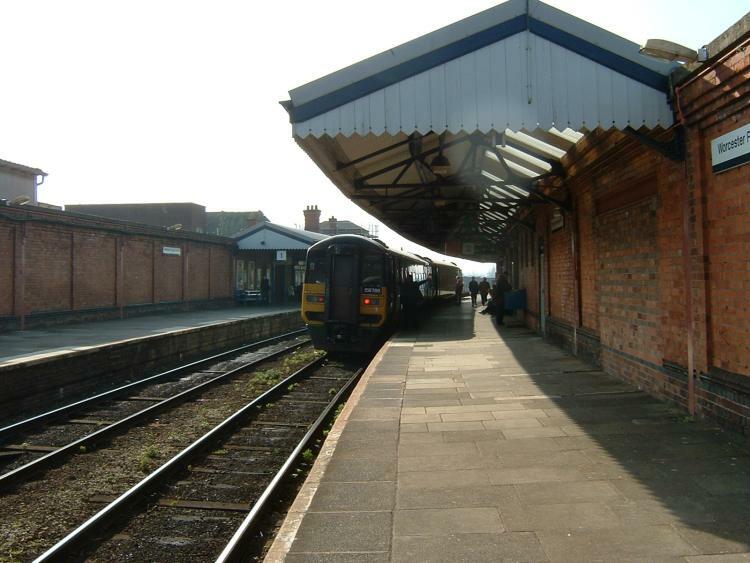 After the track rationalisation scheme in 1973 the station was situated on two single track lines. The nearest side track goes to Birmingham whilst the track on the far side goes to Worcester Shrub Hill and London. In the other direction the two tracks combine at Henwick. Both photographs were taken by Andrew Smith on 15th March 2003. 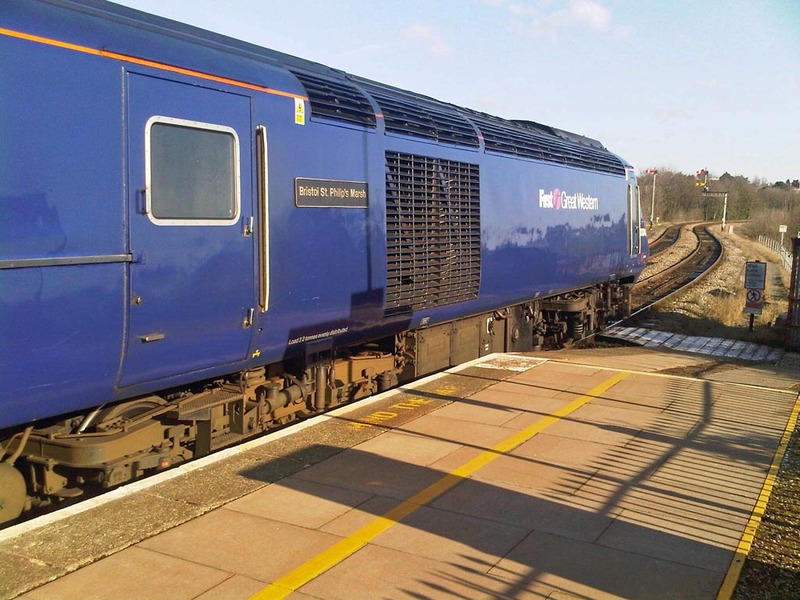 This stunning photograph shows the rear power car of a 'down' Paddington to Great Malvern express service arriving at Worcester Foregate Street Station on 11th February 2010. The power car is No.43040 'Bristol St Philips Marsh'. Photograph by Andrew Smith. A photograph of ex-LMSR 'Black 5' 4-6-0 No.44810 at Foregate Street Station can be found here. 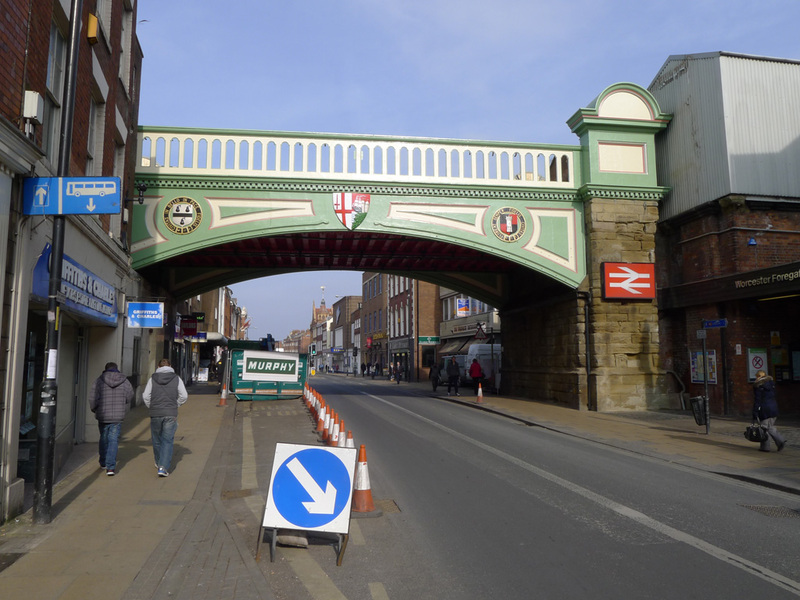 This is Worcester Foregate Street railway bridge in March 2013, freshly repainted after 29 years. It seems to be a paler green than last time, as evidenced by the close-up of the Worcester coat of arms. 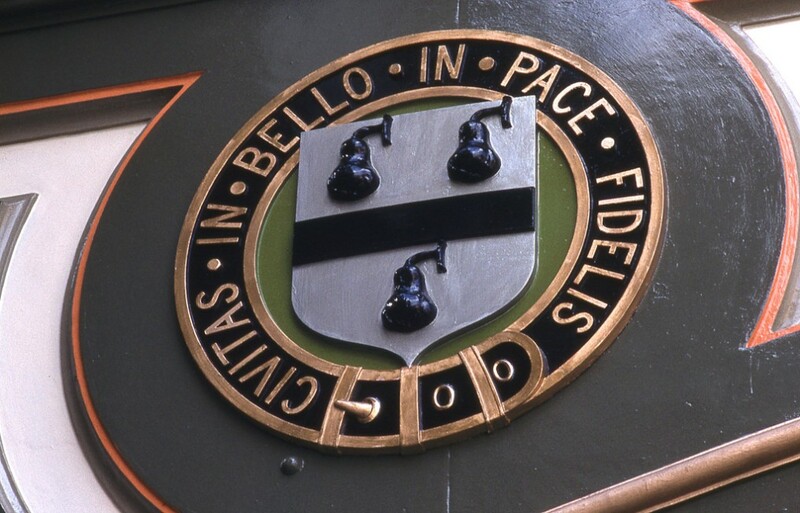 Civitas in bello in pace fidelis = citizens faithful in war (and) in peace. Perhaps those Latin lessons at school weren't so useless. Black pears are though, except for hiding King Charles I. The Queen Mother planted one at Worcester Royal Grammar School in the early 1960s. The fruit does not ripen either on or off the tree and it cannot be stewed. It's too hard to crush for perry so perhaps they were just painted black and used as cannonballs! Photographs taken by Robert Pritchard.